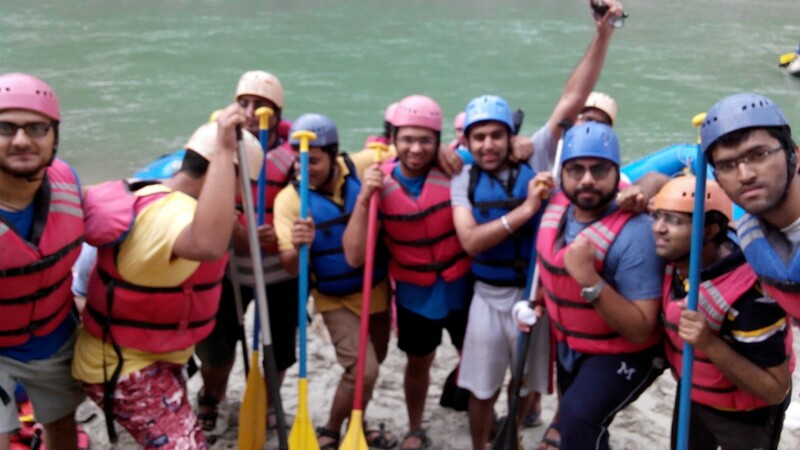 It was time for the teams’ annual trip to Rishikesh, which was flagged off from the head quarters at Sohna Road in Gurgaon. So, about 15 of us boarded a “Traveller” for our journey. An 8 hour drive, lots of craziness, some over board with excitement but none sleepy reached Rishikesh, a small town lying between 2 pilgrimage cities, our destination of thrill and adventure, to see nature at its best. Three of the team members, decided to go for Bungee Jumping while the others carried on the journey to the camps which was still a couple of hours away. We headed back to the camps, while involved a mile of treacherous jungle trek, but the view as soon as you emerge from the jungle on the private white sand beach made it worthwhile. 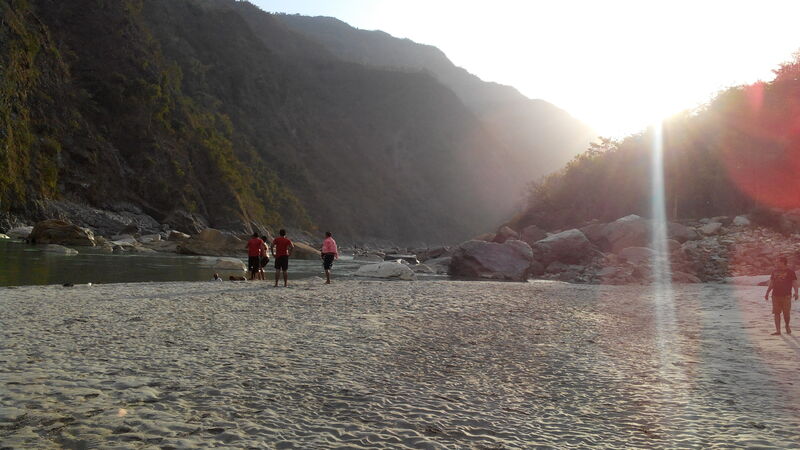 Picture being surrounded by mountains on 3 sides, the jungle on the back side, you are on a private white sand beach with the mighty Ganges flowing past you. After a long day of chilling on the beach and volleyball, the night was lit up by a bonfire and a full moon and all of us instead of crashing in our respective tents decided to sleep under the sky, to be only woken up by rain in the morning. A hearty early morning breakfast was awaiting us, a breakfast everyone was relishing, because we knew what was in store for us immediately after that. White Water Rafting! 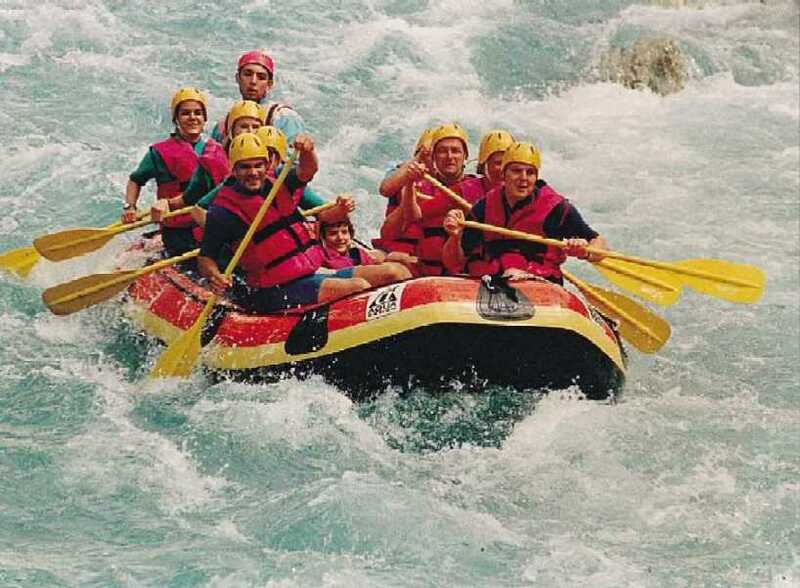 We decided before the start of the journey that rafting will be done on a 20 mile course which housed the most dangerous Grade 3,4 rapids, such was “3 BLIND MICE” , “ROLLERCOASTER” and much more. The rafting was a first for a lot of members in the team, adrenaline was kicking in as we passed from one rapid to another. The 3rd rapid, Rollercoaster, a grade 3+ rapid, the team was rowing frantically as we passed whirlpools after whirlpools, avoiding huge rocks due to which these rapids are formed, and our raft being rocked with every wave, some of us secretly praying to get this over with immediately, but the mighty Ganges had some other plans. A huge wave about 8-10 feet high came from the right side of the raft and knocked 3 of the 6 team members out of the raft. One of them held on to the safety rope, but the other 2 were drifting away in front of us, as the water speed were in excess of 30 miles/hr, we tried throwing safety ropes out to them, but all they could do was gasp for their breath to be hit by more waves. Few minutes later, one of them was picked up by another raft that was following us, but there was still no sign of the 3rd team member, which we found out later that he swam to the shore, and eventually we picked him up in the raft. No casualties on board, we moved forward and crossed rapids after rapids. Our ride back home the “Traveller” was waiting for us, when we got off our respective rafts, screaming and telling each other what had just happened. And in no time we were on our way back to Gurgaon, relishing each memory created in the last 48 hours. If you want to be part of this amazing team, mail us at careers@rankwatch.com. We are expanding both our Tech & Operations wing and if you love to code and if making customers happy is your kryptonite, we would love to hear from you. Avantika is a full-time blogger and loves to write about Technology and Internet Marketing. Full of passion for the industry, Avantika will be taking it a step further by completing her Masters in Digital Marketing.